The swallows came in to my studio when it rained, for shelter. When it was hot they came in and flew around my head, fanning me as I painted. They chattered away in the rafters, like children, as I told them to keep it down because I was trying to concentrate. They nested and I watched their young grow up as I took dozens of blurred photos of them being fed. And they came into my studio and pooped all over my paintings. In the evenings the stableyard was magnificent with them. When they left, the yard got cold and lost its joy. I’m expecting them back in a week or so, and really looking forward to it. It’s been a long winter. 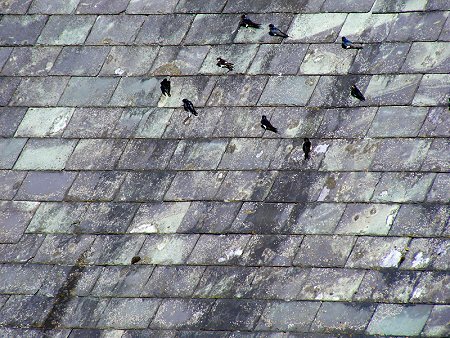 There would appear to be a housemartin also sunbathing with the swallows. The one with the white rump. This photo is not cropped. It was taken from my studio last summer. 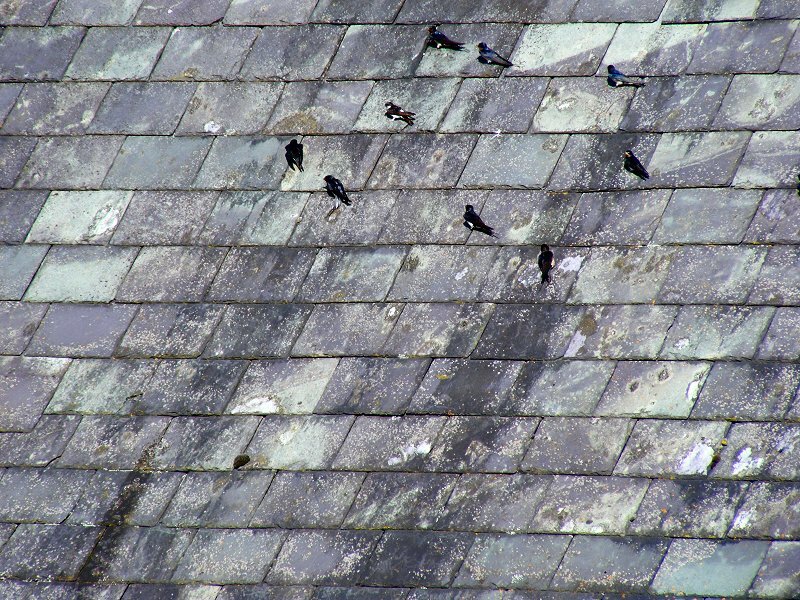 I wonder how they’ll feel when they come in and see I have a new roof. I love to watch swallows fly. They make it look so easy, and so much fun. Can you imagine having so much fun doing something as mundane as walking? Well: Yes. Maybe you can.